Robots For A Better World! 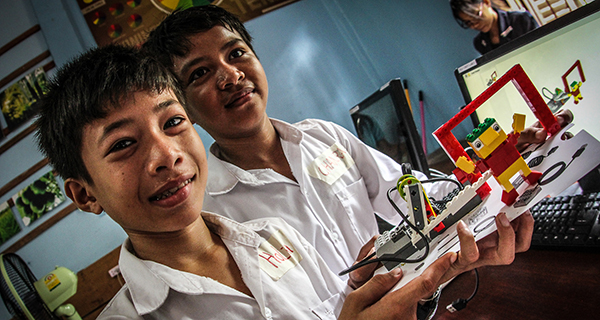 Bringing robots to underserved communities globally. Creativity and Engineering come together to make Imagination come to life! Teaching kids logic and troubleshooting through graphical programming! 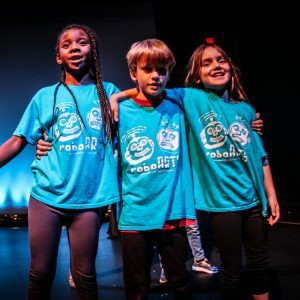 SCIENCE IN A SUITCASE partners with nonprofits around the world to spark children’s passions for science, technology, and the arts, igniting unlimited possibilities for their futures. 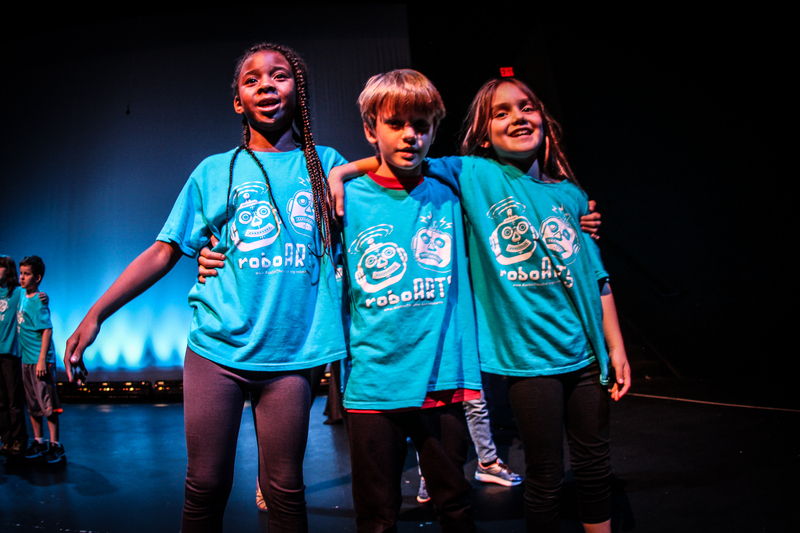 Our STEAM based programs engage kids with hands-on learning experiences that foster creativity, critical thinking, and problem-solving skills, and give them the confidence that they can succeed. 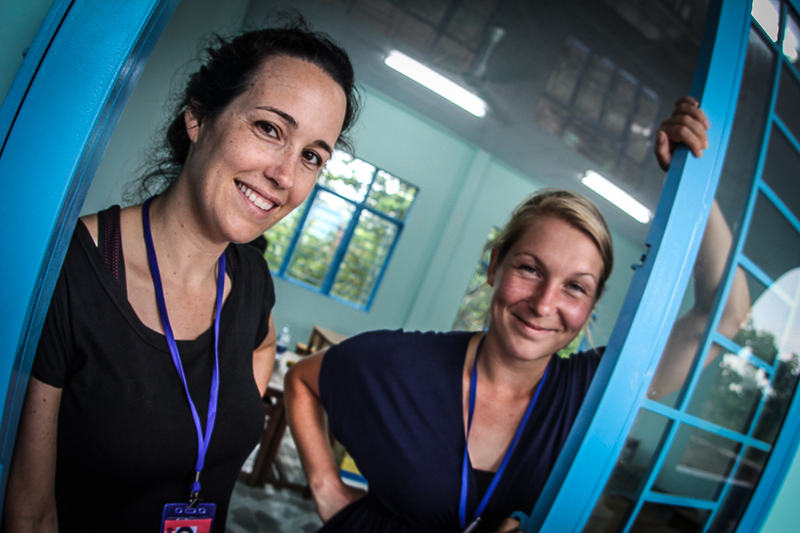 "There are no words to describe the energy, flexibility, and drive of the Science in a Suitcase team... They made us achieve the impossible and set a new frontier for science and technology in our country! Forever thankful"
Nicole, I want to thank you and Science in a Suitcase for the example you have set! Engineers can make a difference in the world not only with the products we work on at NI, but also as individuals through volunteering our time through robotics. 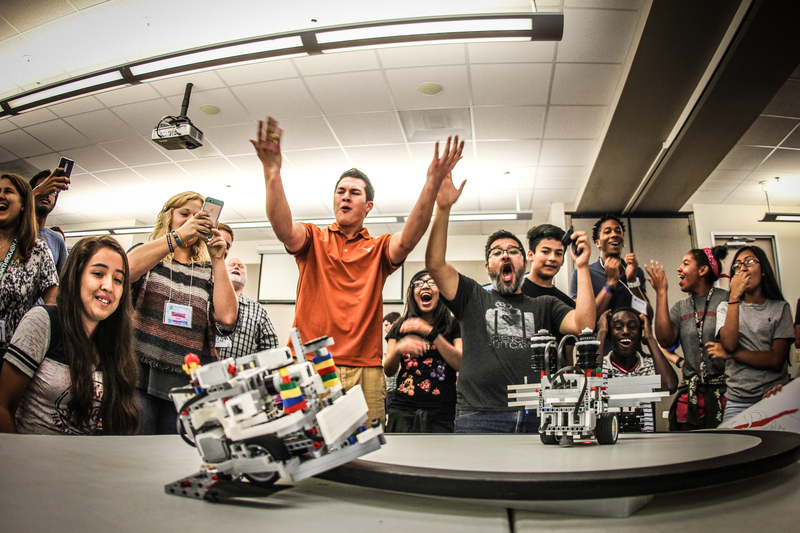 It was through your example that I gained confidence that I could make robotics happen for those kids! And I am so glad that I did! I cannot wait to return next summer! Antonio F Delgado works at National Instruments by day. There he plays with PXI hardware and other fun stuff. 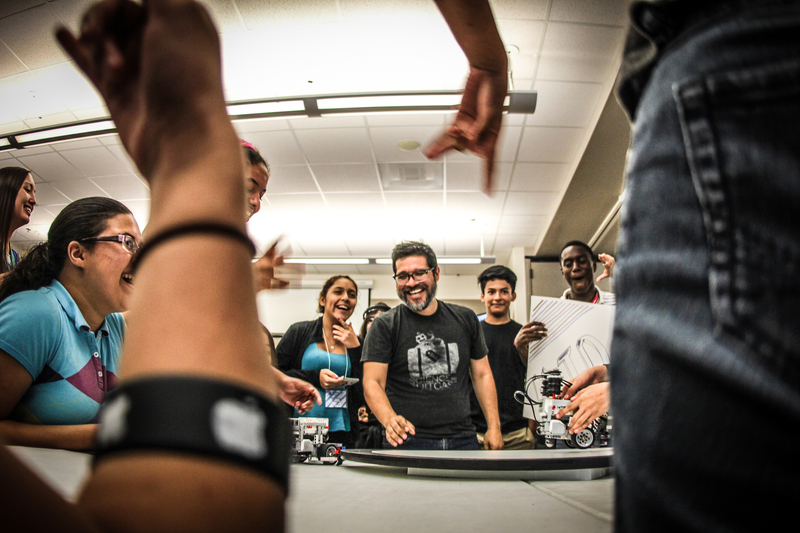 Sometimes, he gets the opportunity to be a Lego EV3 Master Mentor and teach the next generation of robotics mentors. 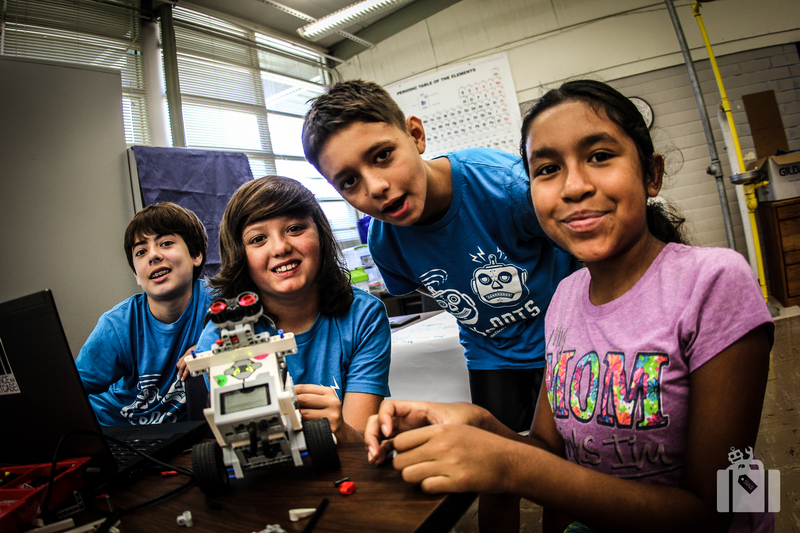 Once a week Antonio takes a trek to East Austin assists a Title 1 First Lego League team of fifth graders at Govalle Elementary. During his down time, Antonio loves to play music with his band Oh Antonio and His Imaginary Friends and he likes to write children's books. 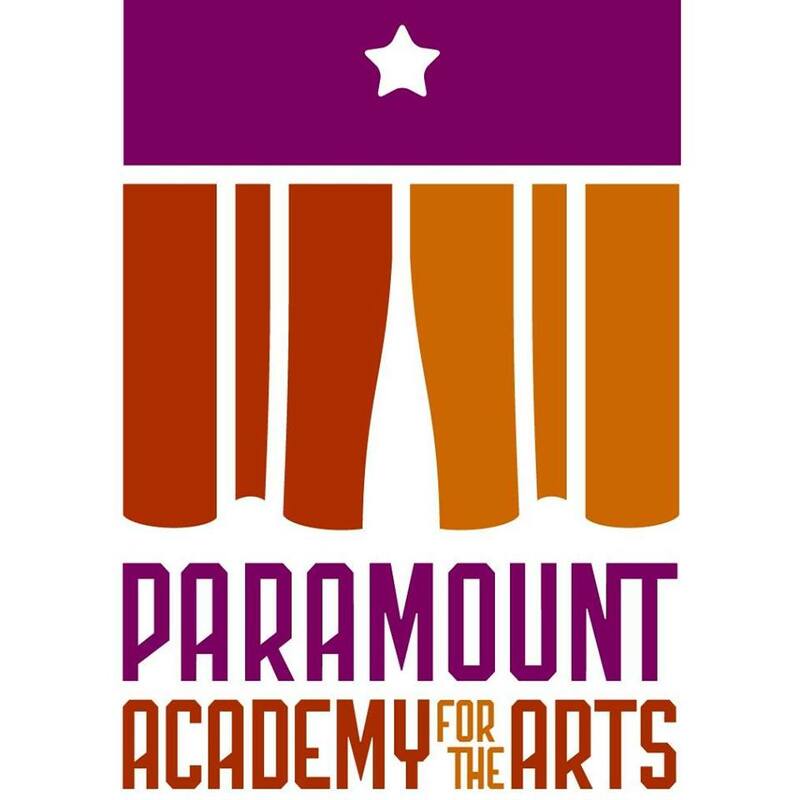 He also, helps bring kid-written stories to life through the avenues of plays and songs with his friends in The Story Wranglers and The Paramount Theater. Antonio strives foster creativity and imagination in the people around him. He believes that a STEAM education is essential to creating well rounded and fruitful education. “I truly believe that education is whats going to save the planet! That is why I have gotten on this mission to educate and prepare children, of underserved communities, to enable them and their communities to succeed.” Lillan says. 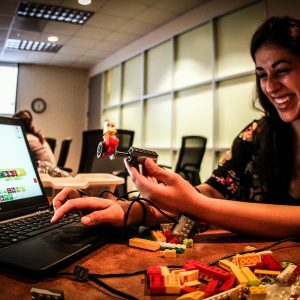 Lillan Spiertz works as a Product Owner with LEGO Education and was the Software Producer for LEGO® MINDSTORMS® EV3 development project. Through this work Lillan has experienced the incredible impact these robotics tools can have on children’s education and personal development. Nicole Richard is a Software Product Manager for the Academic Marketing team at National Instruments (NI). After graduating from the University of Colorado with a degree in Electrical and Computer Engineering in 200, Nicole has worked in the tech world for close to two decades. Under NI’s partnership with LEGO, she spent many years managing the development of the LEGO® MINDSTORMS® and LEGO WeDo robotics software for kids. This unexpected opportunity to use her engineering degree to develop toys sparked a passion in Nicole for helping children discover and develop an interest in science and technology. 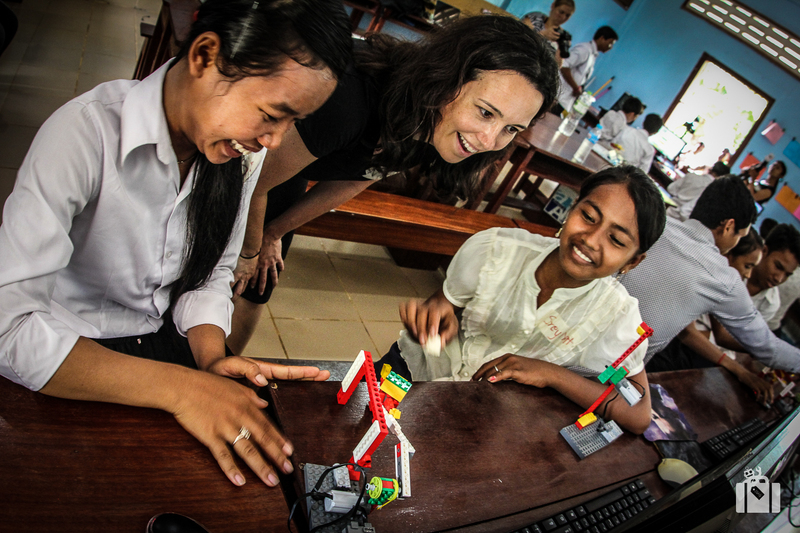 She’s traveled far and wide to places like Cambodia, India, and Vietnam to help various non-profits create sustainable LEGO robotics programs that foster technical literacy in children who would otherwise never have access to these types of tools. In 2012, she was even featured in the IEEE Spectrum Magazine’s Dream Jobs report. Andy is a Principal RF Systems Engineer working at National Instruments (NI). He has lived in Austin since 1995, when he moved to Austin from Houston where he grew up to attend the University of Texas (Hook ‘Em! ), receiving his Bachelor of Science in Electrical Engineering with honors in 1999. After working a few years at NI, he returned to The University of Texas to attend the McCombs School of Business, ultimately earning his MBA in 2007. 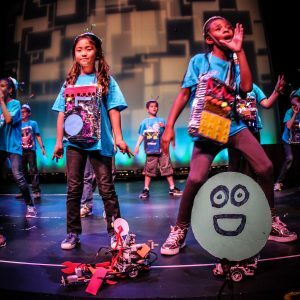 Andy has enjoyed traveling the world with his wife, Madam President Nicole Richard, to teach robotics to underprivileged children throughout the world. 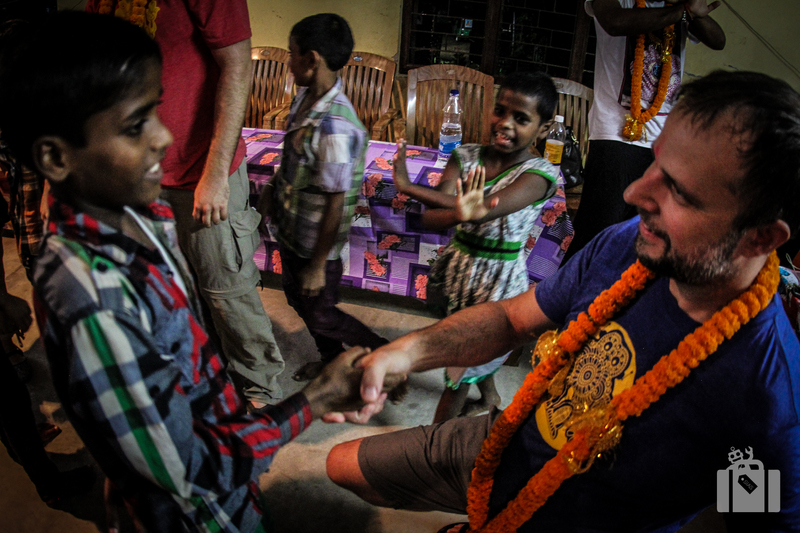 Be a part of the telling the grand story of our friends worldwide.